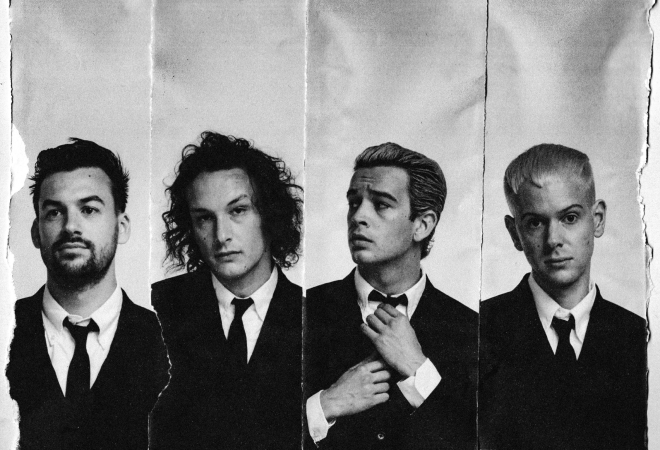 The 1975 are hitting the road on a huge UK & Ireland arena tour in 2019 with special guests Pale Waves and No Rome. The band first formed in 2002 and is made up of Matt Healy, Adam Hann, Ross MacDonald and George Daniel. Their first EP ‘Facedown’ dropped in 2012, helping the talented Mancunian quartet build a dedicated following before releasing their self-titled debut album in 2013. The record featured hit singles such as ‘Chocolate’ and ‘Girls’. Their second album ‘I Like It When You Sleep, For You Are So Beautiful Yet So Unaware Of It’ followed later in 2016 and included successful tracks like ‘Love Me’, ‘The Sound’ and ‘Somebody Else’. Fans have already been introduced to a trio of songs lifted from ‘A Brief Inquiry Into Online Relationships’, including ‘Give Yourself A Try’, ‘Love It If We Made It’ and ‘TOOTIMEOOTIMETOOTIME’. The album is set to be the first of two to be released, with ‘Notes On A Conditional Form’ rumoured to be scheduled for a 2019 release.